Middle school students were tasked with creating human-centered designs to make aspects of our lives easier. Their ideas were evaluated by a panel of adult judges who have had distinguised careers as entrepreneurs or in consumer products. They were asked to choose a winner based on the viability of the product and the group's ability to develop it and take it to market in the near future. 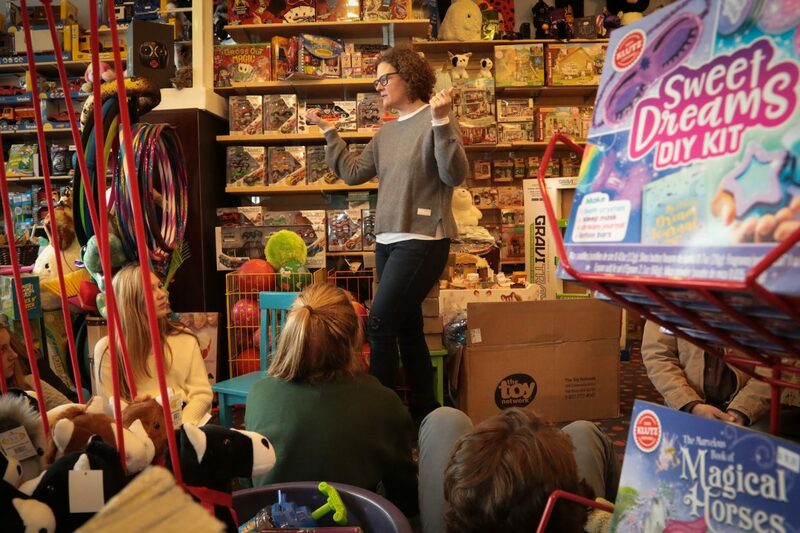 VMS ninth graders took a field trip to Wishes Toy Store in Avon where owner and VMS parent Marti Hurd provided the students with an inside perspective on the toy business. Snow Mountain was created to help introduce skiing to kids who don't live in areas with snow. 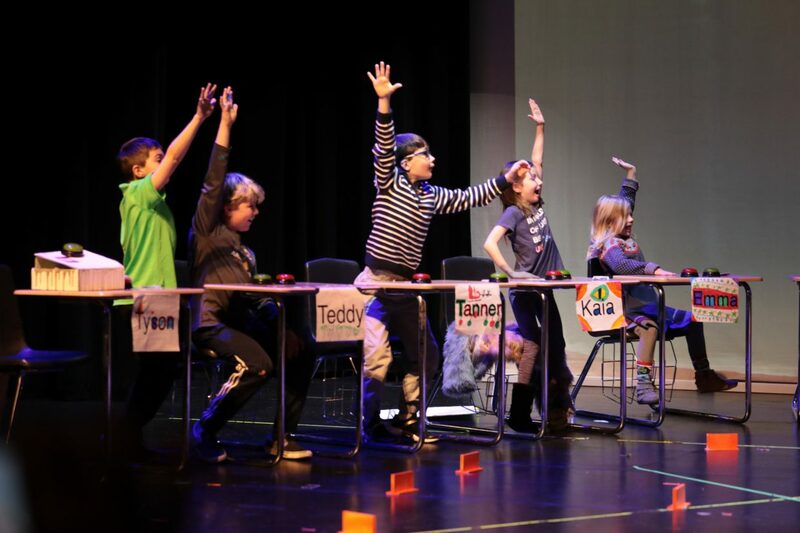 Lower school students served as judges for the ninth graders' toys. The older students also observed their younger peers at play and interviewed them as a part of their research into what makes a great toy. 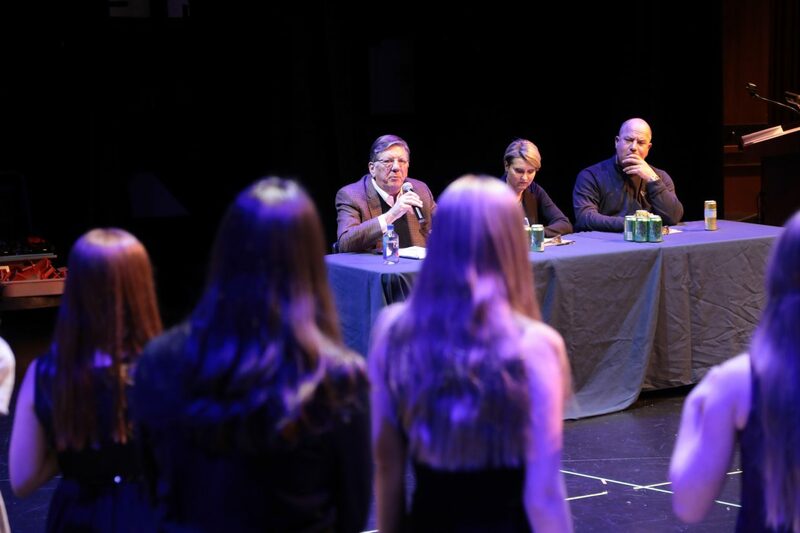 A panel of "expert" lower school judges "evaluated" ninth graders' ideas for toys. The Astro Toys team presented "Bump, Jump, Drive" which was the clear winner of the Toy Box portion of the competition. It combined remote control cars with ramps, barriers, and jumps that kids could arrange as a race or obstacle course. 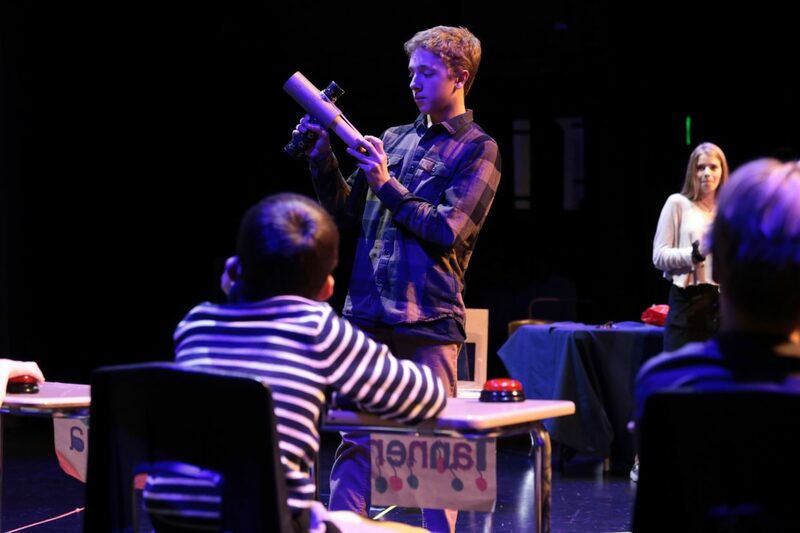 The Galactic Blaster was a rubber band powered ping pong ball gun designed by the students and printed on a 3D printer. This toy engaged children through a story in which they were the last line of defense for the earth against alien invaders. 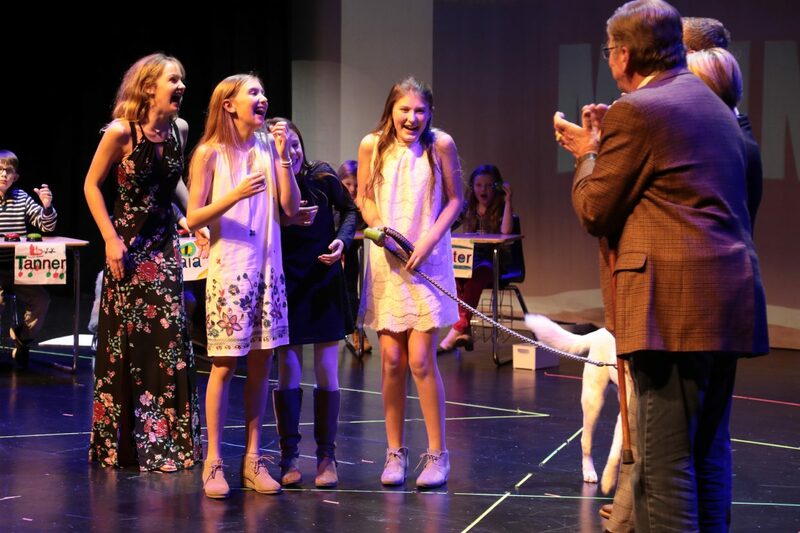 The Ruff and Tumble team won the middle school Shark Tank portion of the competition. The students created a pet bed with simple, inexpensive cooling/heating packs that draw pets away from their owner's bed to a warm or cool and comfortable place of their own. They received $1,000 that the students will use to further develop their product, create a KickStarter campaign, and hopefully bring their product to market. The three classes included:Kim Zimmer’s 9th Grade, Functional Design & Innovation class presented toys designed to DISengage kids from devices and ENgage them in actual playGrant Gary’s Middle School Design Thinking and Entrepreneurship class shared prototypes of products they developed using human-centered design.Tim Sinnott’s Middle School Hands-On Coding class collaborated with Gary’s class where coders provided technical expertise for entrepreneurship projects and contributed projects of their own. 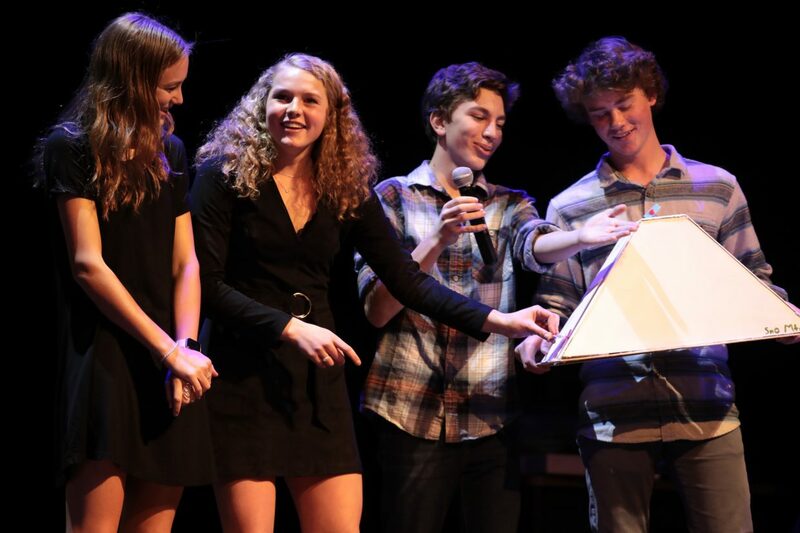 VAIL — There’s no place quite like the deep end of the “Shark Tank,” as a group of Vail Mountain School students learned. You either eat or you get eaten. The VMS version of the popular ABC show was dubbed the Minnow Tank, a hybrid of “Shark Tank” and “The Toy Box,” another ABC hit show. It’s a design and entrepreneurship competition. Students from three classes pitched ideas for toys — not the kind that live on screens, but the kind you actually play with. “There is no screen video game or app that can replace the relationships built over toys,” said Kim Zimmer, quoting the American Association of Pediatrics. Students in Kim Zimmer’s ninth-grade Functional Design & Innovation classes were challenged to design toys or experiences and help solve the national scourge of excess screen time. They designed their toys and six groups presented to a student panel that either red-lighted or green-lighted their ideas. Those ideas ranged from a galactic ray gun that shoots pingpong balls, based on the notion that kids will be the last line of defense against alien invaders. Another group created a set of plastic connectors to put together empty cardboard boxes to make a fort or a car or a house where you can park yourself or your car. A stackable playset teaches kids about wild creatures like the pink fairy armadillo and helps support animal advocacy groups. And of course, because this is Vail, there’s a miniature ski area called Snow Mountain designed to show kids who don’t live in the mountains that skiing is fun, not scary. The winner was the Astro Toys’ Bump, Jump, Drive. It’s remote control cars on a huge track that the judges got to try. The goal is was to equip ninth graders with 21st-century skills that they can apply in school, and after they’ve graduated, skills like creativity collaboration, critical thinking, accountability, initiative and self-direction, Zimmer said. Personal growth was also on the line for middle schoolers at VMS, and so was $1,000 to develop their ideas. Grant Gary’s Design Thinking and Entrepreneurship class developed products that used human-centered design to fill a need in people’s lives. They had four minutes to pitch it to the panel of three accomplished adults. The Buddy was a rolling organizer designed to help carry things. That idea stemmed from helping the school’s kitchen staff carry hundreds of pounds of food at one time. Louise is a line of clothing designed for girls ages 6-14 that enables one garment to serve many purposes. The Plant Bot group from Tim Sinnott’s Middle School Hands-On Coding class used an Arduino controller to create a device that could automatically water plants based on moisture readings from probes in the soil. Booskis are the skiing equivalent of an e-bike that generates an uphill assist for backcountry touring. Securitune is a locking mechanism that operates with a string of notes played on a mini keyboard instead of an alphanumeric code. The Intellican was designed to demystify recycling by using a three-bin can. You speak to it and it tells you if the item should go to trash, recycling or compost. H2 Know was a water bottle collared with a digital screen that could be synced via Bluetooth to one’s calendar and that would prompt the owner of upcoming obligations in a more discrete manner than a phone or laptop. Intellight solved the problem of not being able to find things in bags by using an electronic smart film that can be made either transparent or opaque at the flick of a switch. Grip was a product purpose-built for a local ski racer who needed a way to keep directional ski poles from rotating in a prosthetic hand. Ruff and Tumble was elegant in its simplicity. The group created a pet bed with cooling packs that would provide dogs and other animals with a soft, cool place to sleep. The inspiration, according to the group, is that dogs love the comfort of their human’s bed, but also the cooling effect of concrete floors. Their product provided both. The judges decided that Ruff and Tumble could get to market the most quickly, and its student designers won the $1,000. 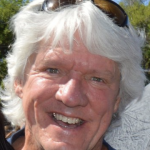 They’ll start with a Kickstarter campaign and try to start a business from there, Gary said. 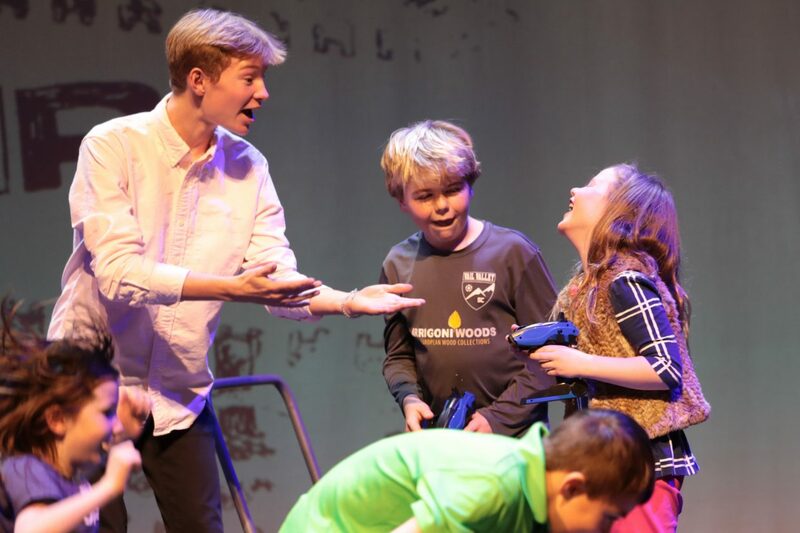 “I gave them this extremely challenging final task to get up in front of a couple of hundred people and three serious adult judges who have been highly, highly successful in their careers, and to pitch an idea. That’s really high pressure for kids who are just 11-13 years old,” Gary said.